It's New Year's Eve and Mallory can't wait to celebrate! Her camp friends are coming to Fern Falls and she and Mary Ann have planned out every last detail for a perfect winter reunion and New Year's Eve party. But what Mallory hadn't planned on is getting sick. Poor Mallory has to ring in the New Year in the hospital instead of at home with her friends and family. Mallory thinks she's missing out on all the fun. 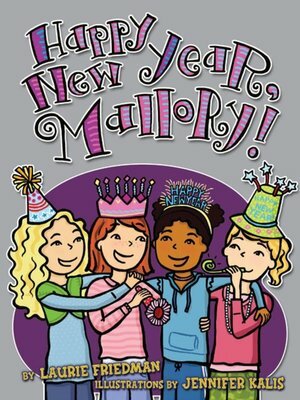 Is this the beginning of the worst year ever, or is Mallory in for a big New Year's surprise?